Join us for the season closing concert May 19! Did you know that you can contribute to The Arizona Winds every time you purchase online at Amazon.com? Bookmark this link (https://smile.amazon.com/ch/80-0461026) so all your eligible shopping on Amazon.com will benefit The Arizona Winds. The Arizona Winds is celebrating its 44th year as a West Valley cultural institution. The band’s musicians, comprised of adults from across the Valley of the Sun and representing numerous professions from music educators to engineers, homemakers to accountants, continue to share their love of music and enrich the lives of audiences throughout the state of Arizona. 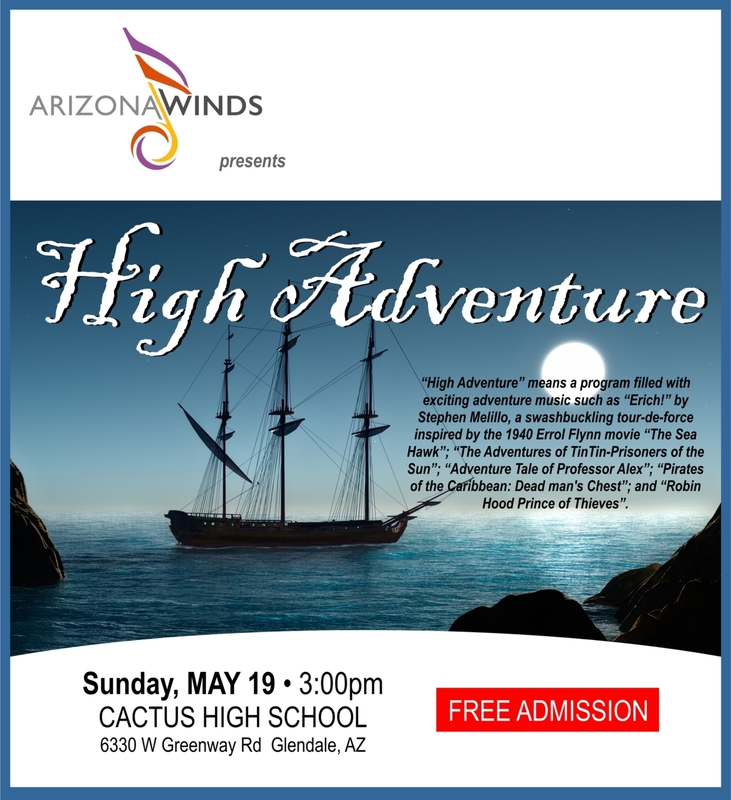 The Arizona Winds is a 501 C(3) non-profit organization which presents a series of six free concerts each season and depends entirely upon the generous tax-deductible contributions of its patrons to sustain the superior level of performance thousands enjoy each year. We are an 85-member concert band located in Glendale, Arizona. Conducted by Lt. Col. Richard Shelton, USAF Ret., we are comprised of all ages and backgrounds, and together we make some great music!